Cannabis (marijuana) was legalized in Canada as of October 17, 2018, and is governed by The Cannabis Act (federal) and the Cannabis Regulation Act (provincial). The legal age for consumption in Quebec is currently set at 18. 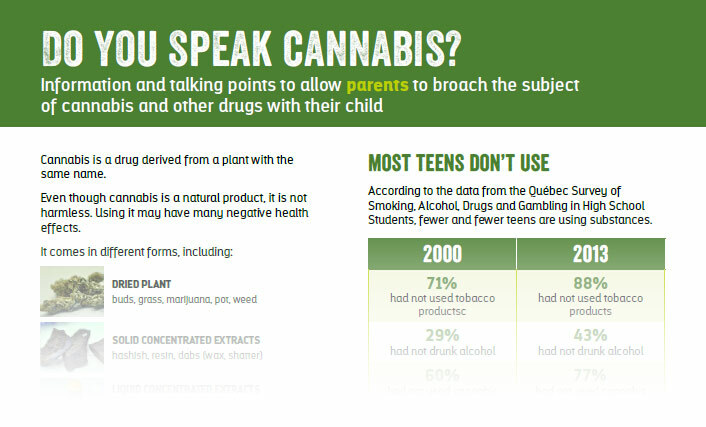 By law and in accordance with LBPSB’s policies and procedures, the possession, consumption, and distribution of marijuana is still prohibited in all LBPSB schools and centres, and on their premises. All protocols and collaborative practices currently agreed to with law enforcement officials remain unchanged.